The product has been released amongst a flurry of scientific studies – all showing that you can get more from your gym sessions and burn significantly more calories after using it. Capsiplex Sport isn’t a one-trick-pony product; this helps your body achieve its goals in umpteen ways. It will help you burn more calories, as well as improving your energy levels, focus and endurance for those gruelling gym workouts. It might help you in multiple ways, but you only have to take one capsule every day for it to work. In other words, it doesn’t hinder your day-to-day life in the slightest. 78 calories a day whilst taking the product. From an endurance perspective, another study showed how you will have 7.5% more oxygen available. Ultimately, you’ll be able to go for much longer at the gym. To top things off, the manufacturers are worth their salt. Advanced Health have become an established name in the industry and have a support team and vibrant social network to just ooze trust. · You won’t just burn those 278 calories a day by sitting on the sofa. You will need to put in at least some form of workout to reap the benefits from Capsiplex Sport. If you are pregnant or breastfeeding, make sure you consult with your GP before taking the product. Capsiplex Sport – How does it work? Capsiplex Sport allows you to burn so many more calories by increasing your metabolic rate. It uses a unique concoction of ingredients to achieve this, as well as reaching the other benefits that have been mentioned through this review. it mildly increases our internal temperature), prompting our body to burn more calories during exercise. This works in a similar way to chilli, increasing your metabolism due to its thermogenic properties. Capsiplex Sport is also able to increase our energy levels during a workout, and it’s mainly due to caffeine. This is a tried-and-tested stimulant and will allow you to plough on at the gym like never before. While there are no guarantees when it comes to products of this kind, we were amazed at the scientific research that has already been conducted in relation to Capsiplex Sport. Studies have shown that the average person should burn 278 calories extra a day, with this equating to 12x as many as one would normally burn after exercising. However, we were impressed with the product from other perspectives. For example, one woman lost 16lbs in eight weeks, while a man who used the supplement for two years found that it improved his workout efficiency by 25%. Therefore, as well as working for different people, it seems as though Capsiplex Sport is able to also benefit users in a variety of ways. The product is formed from natural ingredients, meaning that side effects are rare. The only issue some people may experience is a hot flush, with this occurring due to the inclusion of chilli. 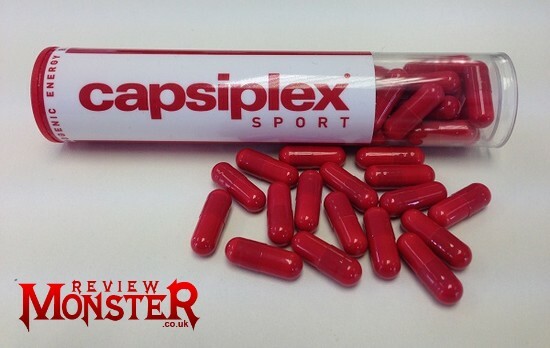 Capsiplex Sport costs £29.99 for a one month supply, with this being comparable to rival products. Additionally, one can take advantage of several discounts, with six bottles of the capsules costing just £119.85. 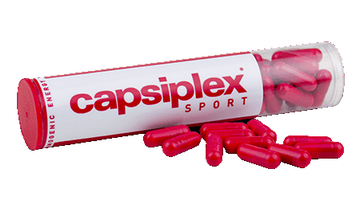 You can buy Capsiplex Sport from The official Capsiplex website. We’re all trying to get more from our gym workouts and burn more calories – and Capsiplex Sport seems to satisfy both of these areas. With countless scientific studies behind the product, we think you should at least take advantage of a one month supply to see if you can join the masses who have experienced so much success with it. Capsiplex Sport4.5George Allen2015-04-05 11:24:18Most of us could only dream to burn almost 300 calories a day more than we already do, yet this is the promise attached to Capsiplex Sport. If you have any questions or concerns, please refer to the official Capsiplex Sport website, or contact the merchant directly. 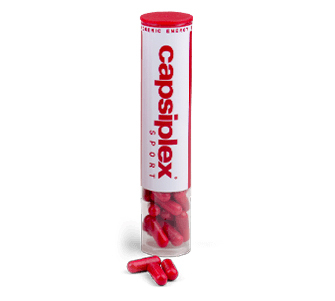 Only comment below if you have used Capsiplex Sport before and you would like to share your experience. Don't forget to use the star rating system.